Bake gingerbread men - write a shopping list, weigh ingredients, label / talk about parts of the body, count candy buttons, control piping icing, etc. Build a Gingerbread Man's house - Use biscuits, sweets and icing to build your Gingerbread Man a home. Talk about the different shapes, sizes, colours of the biscuits. Discuss what they are going to use the different biscuits for and why, "What biscuit would make a good window? ", "Why have you chosen the round, circle biscuit? ", "How many biscuits will you need for the roof? ", etc. 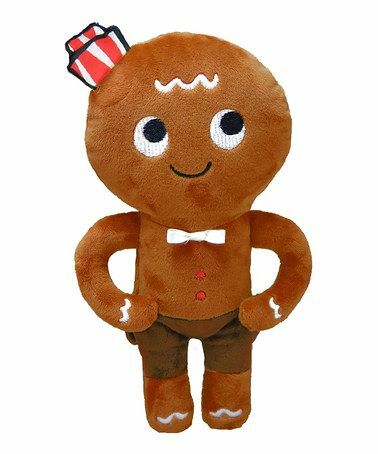 Trip to the park - Use the phrase "Run, run, as fast as you can, you can't catch me I'm the gingerbread man" to encourage your child to move in a range of ways. For example, stomp as loud as you can, hop as high as you can, walk backwards as slowly as you can, etc. Retell the story - Encourage your child to retell the story. "Where are the animals? ", "Who chased the gingerbread man before the fox? ", "What did the Old Women say? ", etc. Trip to the Bakers - Visit the Bakers to discuss and explore the different products on offer. Remember to use all your senses!